Ashayla is a freelancer of all kinds; model, photographer, stylist, designer, writer and singer. If there's one word to describe this Annalakshmi, it would be simple. This vegetarian dining establishment looks cheap. The decor is simple, though it is spotted with some lovely carved wooden tables and statues of Hindi deities. The food is displayed buffet style and it is help yourself and all you can eat. Yes, simple is the word. Even the dishes were simple. In saying this, they were also delicious. Each meal tasted restaurant quality and the menu changes daily, so it is always different. The most unique aspect though, is the price. This is all you can eat, for whatever you wish to pay. The staff are all volunteers and you decide how much you want to pay. Yes, you didn't read that wrong, you decide how much you want to pay. 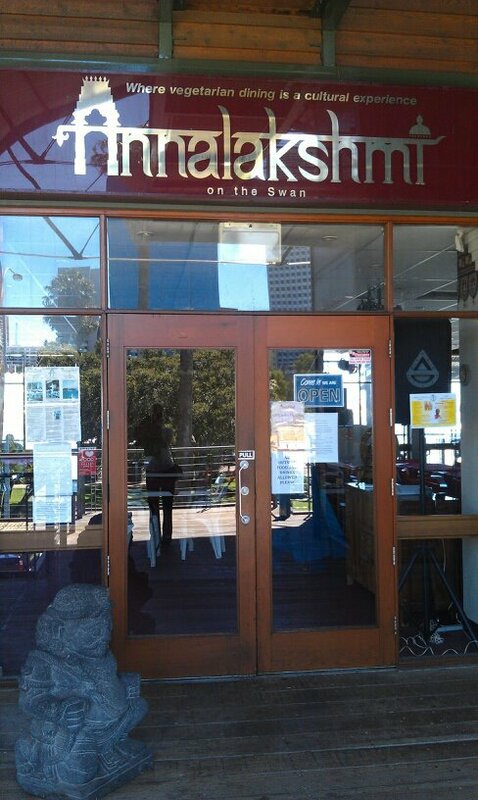 The restaurant is situated at the Barrack st jetty and has lovely views of the Swan River. 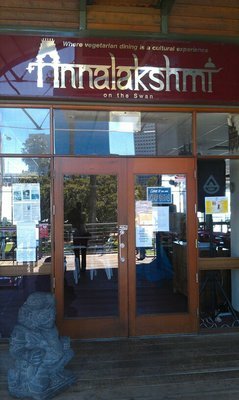 With effect from Monday 28 July 2014 Annalakshmi in Perth will be open everyday of the week. Opening times are 12 noon to 2pm for lunch and 6.30 to 9pm for dinner. Annalakshmi operates on a unique concept of “Eat as much as You wish and pay what your heart Feels”.